Glamour, glitz, great people watching and learning a little bit about all of the movies I wish I had seen over the past year. That’s what I look forward to on Oscar night. And Sunday night was no disappointment. But I was struck by something while listening to the acceptance speeches for Best Actress and Best Actor that should not be lost on us all. 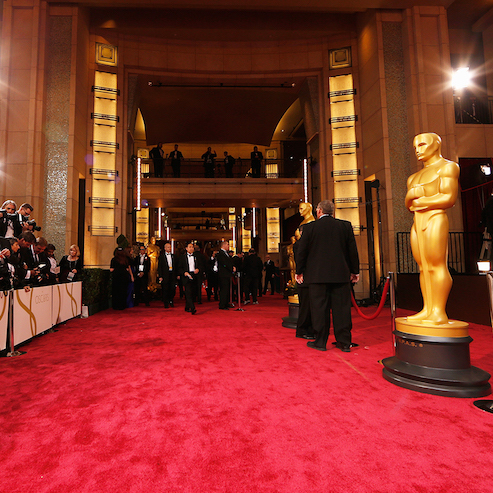 The Oscars shined a light on disease and the power of individual patient stories. As in most years, the group of nominees for Best Actor and Actress were amazing. But oftentimes the performance has as much to do with the acting as it does with the story. This year two of the nominees, Eddie Redmayne and Julianne Moore, were honored for their portrayal of real individuals. The Theory of Everything and Still Alice both told the story of an individual struggling with a serious disease, ALS (often referred to as Lou Gehrig’s disease) and Alzheimer’s, respectively. I hope that while movie goers were moved by the brilliant acting in The Theory of Everything and Still Alice, they were also educated about ALS and Alzheimer’s and understand more fully the need for patient-centered solutions to stop the progression, alleviate the symptoms, and ultimately cure these diseases. Something that I’ve known as truth is that the most powerful, compelling and important stories are the ones told by patients from their point of view. Too often, we think we understand the complexity of a disease, put language around what constitutes a cure or what improved quality of life means. Too often, decision makers, policy makers and the medical industry advance agendas and ideas without listening to patients and the real needs of those living with the disease. While perhaps not as glamorous as the Hollywood version, these stories are critically important. Oscar night, winners and losers aside, recognizes storytelling at its best. A common phrase is that the truth tells the most compelling stories. That is no more relevant then when it comes to understanding life as a patient or caregiver. These movies and the stunning and realistic portrayals demonstrate that disease does not discriminate and reality is much more dramatic then fiction. Ordinary people and extraordinary thinkers cannot escape the grasp of these diseases. Patients need to tell these stories in their raw reality. At some point in our lives, we will all become a patient. I only hope that when it is my time, these stories will have created the urgency and the focus needed to advance the science and drug development so my reality as a patient is better than it would be today. These movies are important for the art they convey. But they are also important for the message they send and the education they provide. I just hope that on Hollywood’s biggest night that critically important message wasn’t lost on the audience.